The hard life of a sausage dog is only made harder when my No. 1 human is making doggy cannoli and I don't even get to give them a lick! Bossy No. 1 says they need to cool overnight before they get decorated. My nose is working overtime, I can't wait to sink my teeth into this test recipe! 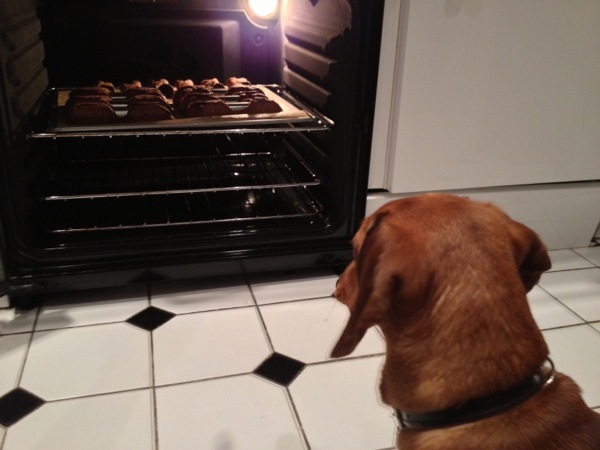 Cheeky Dog Bakery Chief Taste Tester right here!